Tag Archives for " experience "
Our beliefs are things that we often hold dear. They are things that we have seen hold true throughout our life. Our various experiences have shown us that these beliefs are true. But, what if these beliefs were actually holding us back? Let’s take a moment to read this quote and then continue on the other side. Maybe there is something to this quote. 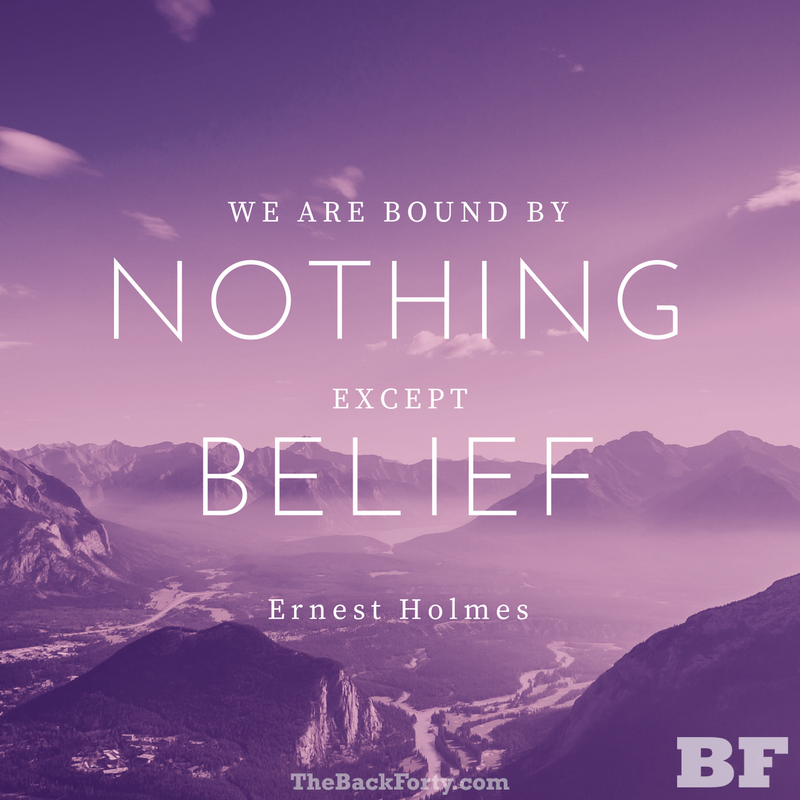 After all, how many times have we heard stories of people being held back by their personal “backward” beliefs. It is easy to see the logic when we think of this quote in terms of other people, especially when our personal beliefs are the opposite of theirs. But what about our own backward beliefs? Logically, we know we have them. It’s impossible for everything that we believe to be true to ACTUALLY be true. Especially when many of our beliefs are shaped by one single experience. Here is an example. You start a new job and on your very first day, someone who reports to you is three hours late and has completely missed not only your department meeting but a one-on-one meeting you set up with them. Chances are, you already have a negative opinion of this person and will have a negative opinion of them from here on out. But what if this employee is actually extremely punctual and it just happens that your first day was also the first time they were late in over five years? The sad fact, to your brain that doesn’t matter. Chances are that if someone asks you 6 months later about this employee’s punctuality you would still say that they are “usually” on time and immediately think of that one time that they were three hours late, even if they still have only missed that one day in almost six years. …yup. Suddenly this seems to make so much sense. Think of all of the experiences that we have chosen not to pursue simply because of our beliefs. Each and every experience we have, no matter how big or small, is colored by as many as 30 separate beliefs that we have decided are true. What would be possible if those beliefs weren’t factors? Our lives would be completely different. I’m not saying that some (or even most) of our beliefs are unfounded. Chances are that we have most of our beliefs for a very good reason. But what about those others? What beliefs to you hold true that may actually be false? Today I challenge you to take a look at some of your beliefs that you are convinced are true from an outside point of view. Are there any beliefs you can let go? If you let these beliefs go you might just be surprised at how free you have become. The words “middle age” have been searched on Google over 8,400 times in the past 24 hours in the US. People are asking so many questions, but the overreaching question seems to be “what is middle age?”. As simple as this question seems, it has so many additional meanings. When people ask what middle age is, they are also asking what ages are considered middle age and what the definition of middle age is. Ultimately, they want to know if they are middle aged. Well let’s start with the definition. According to the Oxford English Dictionary middle age is “The period after early adulthood and before old age, about 45 to 65”. Not terribly specific – so why is middle age met with so much dread? There seems to be this preconceived notion that once you hit middle age, the best is all behind you. I disagree with this wholeheartedly. I believe that middle age has the potential to be the best years of your life. There is a concept made popular by The Back Forty that states that the first half of your life is just research and development and that the best is yet to come. So take the first step towards making the second half of your life the best half and download the Top Ten Tips for Life’s Radical Second Half by clicking on the link below! It all hit me one sunny Sunday morning as Darrell and I were making our way through Los Angeles traffic. I thought about how I have been transformed by the gift of my life’s challenges, wins and losses, and how much I love the older and wiser version of my Self that I have become. I saw that my wrinkles are not only part of the package that came with those life experiences, but they were the very stripes and awards earned due to them. I realized that who I am today is inseparable from the wrinkles that formed me. Every wrinkle, every experience, every lesson I learned and challenge I faced, contributed to making me exactly who I am today. All the gifts and talents I now possess and use to create my life according to my own design, to live it on my own terms, and to contribute to others are represented in those wrinkles. Because of everything I claimed along with the territory of those wrinkles, I am now creating my own inspiring, playful, passionate, and radically purposeful second half of life. My grandmother loved her wrinkles! According to the Ancient Art of Chinese Face Reading, when we erase our wrinkles, we erase our gifts. Our wrinkles show how we have lived our life and even what we are designing in our future. Horizontal lines on the face are signs of lessons learned in life when we experience challenging times. This philosophy states that, if we remove those wrinkles, we lose the lesson… which means we may encounter the same challenge again to re-learn the lesson. Now why would we want to do that! My wrinkles remind me of my growth, the path I have traveled, and who I am becoming. They serve as road signs alerting me to utilize my choice of who I want to be. They wake me up daily to the power I have to transform who I am as a matter of my word and commitments. In The Back Forty, we propose that we have all chosen the specific experiences and events of our lives to create a laboratory for research and development which, when assessed, allow us to discover what we are really here to do. My wrinkles remind me of the lab experiments I chose to conduct in my life to gain the gifts, the learnings, and the growth I now possess.…which give me the keys to an exciting, joyful, and radical Back Forty – my second half – and to living it on my own terms. I am in love with my wrinkles. And I invite YOU to fall in love with YOURS. 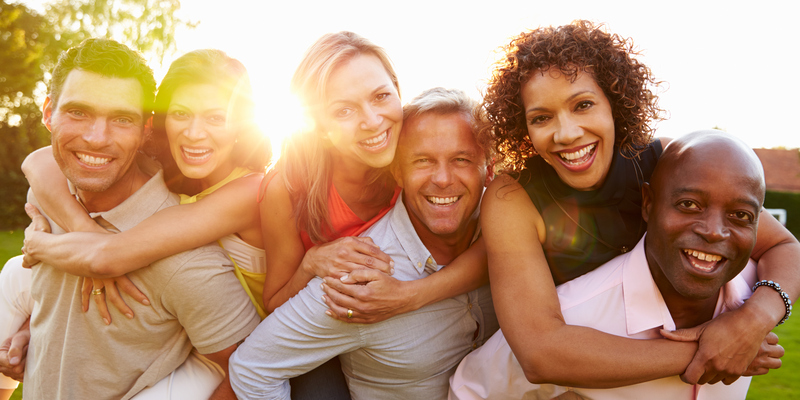 Everyone’s midlife experience is different, but regardless of the path you are following, here are 6 ways to absolutely fail at midlife! Believe that your life is already decided and you can’t change the way things are: Your second half of life isn’t set in stone. Thinking that you “are who you are” isn’t only a defeatest viewpoint, it’s also wrong. Yes, you have done a lot of soul searching to become who you are today. You have experiences that have shaped you, but that doesn’t make you stuck. That doesn’t make it impossible to change your life for the better. Hang on to your past struggles and mistakes as part of who you are: Everyone has hardships and struggles, but letting those struggles define who you are is a big mistake. To thrive in your midlife, you must first decide to plan for the future instead of dwell on the past. Your struggles do not decide your future, you do. Embrace your “midlife crisis”: Not only is embracing and dweling on your midlife crisis dangerous, but research has actually found that midlife crises are based largely in fiction. Deciding that you are going to embrace what you feel is a midlife crisis can cause a lot of unneccessary hardship. If you feel you are going through a midlife crisis the first step to getting out of that funk is to change your perspective. You aren’t struggling through a midlife crisis you are growing due to midlife opportunity. Decide that it’s naive to think you can do what you love and find your purpose: This is a common misconception among midlifers. Many people look at younger generations, whether it is their children or co-workers, and think that the reason for their positive outlook is simply because they are inexperienced in the “real world”. This thought process hinders your ability to make your second half of life better than your first. Think of the first half of your life as research and development for your second half, and realize that you can find your dream career and your purpose in midlife. Understand that you have already learned everything you need to know and that there is no reason to spend time being curious and acquiring new knowledge: You are never too old to learn something new. I don’t know many people who would disagree with this statement, but at the same time I know many people who live their lives like they don’t need to learn anything new. It is easy to get stuck in your day-to-day routine and go days or weeks without bothering to learn anything new. In order to thrive in midlife you must rembember to be curious about the world around you and never stop learning. Believe that it’s all downhill from here: This is a relatively common viewpoint of people in midlife. You’re getting older, you’ve reached a plateau in your career, the reasons are endless. But who decided these things are bad? Life has the opportunity to continue getting better and better, you just have to decide that you want it to. Learn to love your wrinkles, decide it’s time to ask for that better position or get a new one. You have the power to change your future. As I said earlier, those are some absolutely wonderful ways to fail your midlife experience. 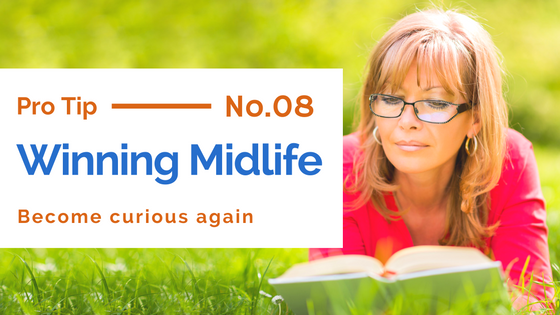 If you noticed yourself as being subject to some of those thoughts or if you are just looking for a way to make your midlife better, click here and get your Top Ten Tips for a Radical Second Half of Life! When we are young we are asked what we want to be when we grow up. When we are a little older we are asked to pick a career. Then life happens. We find a job, work our way up in the company, raise a family, get settled in our routine – and get stuck. When was the last time you thought about what you enjoy doing? Even more importantly, how often do you do something to make YOU happy? 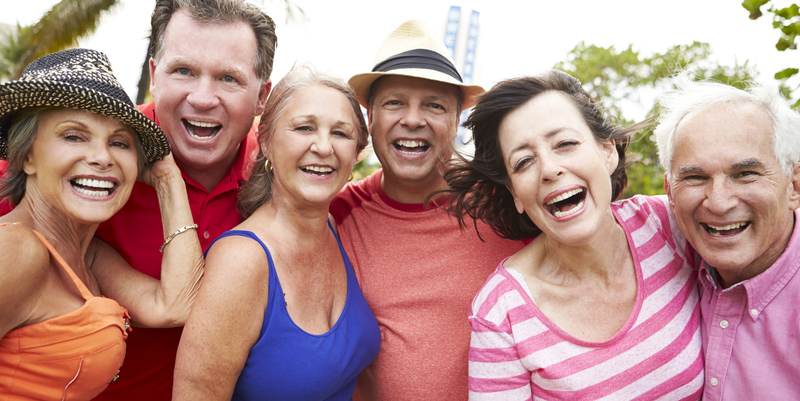 Chances are you don’t focus on your own happiness nearly as much as you should and, at this age, you SHOULD! Maybe you’re thinking, “It’s been so long since I’ve been selfish and just done things for me, I don’t even know what I want to do!” If this sounds like you, have no fear! I’m here to help. So how do you find your bliss? Start by just sitting down (with a pen and paper) and thinking about it. What did you used to love doing? Reading? Writing? Creating art or crafts? What have you always been interested in trying, but have never seemed to have the time? Yoga? Skydiving? Meditation? Water Skiing? Traveling? Make a list of all of these things, and then try them! “I don’t have time” you start thinking.Make time! Schedule an activity for yourself in your calendar. Just do one activity a month if you have to, but start exploring your interests and find what you love. Once you find something that makes you truly blissful, don’t stop! Make sure that you keep going. Slowly start scheduling it more and more often until it becomes a habit. But don’t stop there. I’m sure there is more than one thing that causes you bliss – keep looking! The more activities you find that make you blissful, the happier you will be. Just remember to always be open to new opportunities and experiences. Never stop being curious of the world around you. Be willing to try new things and appreciate the joy they bring you. Don’t get too stuck in your routine, be proactive and schedule the time you need to find and follow your bliss. Step outside of your comfort zone every once and a while. And, most importantly, trust that everything will work out. If it seems like everything is going wrong, it just means you haven’t reached the end of your journey. You have the ability to live your bliss, now go find it!